It's still christmas at Blue Cat Audio: Music Tech Magazine's latest issue (January) includes a special free version of Blue Cat's Parametr'EQ plugin. This Blue Cat's Parametr'EQ MTM edition has no limitation and includes the same digital and analog EQ algorithms as the original plugin. This version is an exclusive version that is only available in this month's Music Tech Magazine issue which also includes a tutorial to build your own Dynamic EQ with Blue Cat's Dynamics plugin. When installing the plugin you will be asked a registration code that you can obtain here. Enjoy, and happy new year! 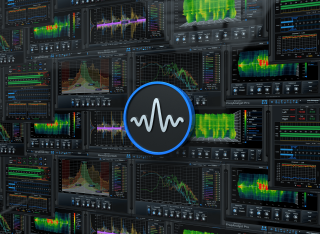 Blue Cat's FreqAnalyst Pro, FreqAnalyst Multi, StereoScope Pro and StereoScope Multi audio analysis plugins have been updated. The multi series now include the curves naming features that we have been asked so many times, and all plugins benefit from faster refresh rate, and several other improvements. Check out the demos! As usual upgrade is free for registered users, and Santa can bring these plugins to others as a Christmas gift! We are pleased to launch our winter special offers: you can purchase all our plugins and bundles with 20% discount. Download the demos and ask Santa to bring you the best plugins for Christmas! 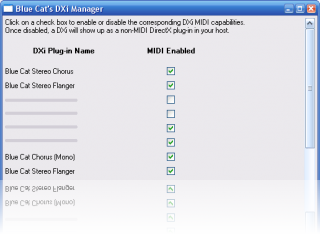 Blue Cat's DXi Manager free utility has been updated. The new version fixes some registry access issues. Download it now, it's free! if you are a Reaper user, you will be interested in reading our plugins connectivity tutorial for Reaper. It shows you how to use our plugins unique MIDI connectivity features. Check it out! A new tutorial is available to learn how to use the Blue Cat's FreqAnalyst Multi or StereoScope Multi directX and VST plugins to monitor an effects chain: an effect measurement tutorial. Read it now and discover how these tools can help you understand your audio effects! We are proud to announce the release of the Blue Cat's StereoScope series, our new stereo image analysis DirectX and VST plugins. They both allow you to analyze the stereo image of your audio tracks in details and detect potential mono compatibility issues. 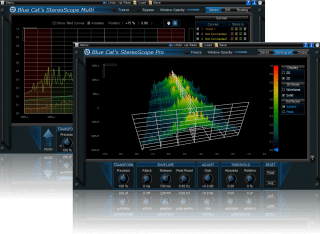 Blue Cat's StereoScope Pro has specific features for single track analysis with MIDI and automation output, while Blue Cat's StereoScope Multi uses our unique data sharing technology to let you analyze and monitor the stereo image of several audio tracks on a single screen. Download the demos right now and try the plugins on your mix! These new plugins are available as separate products or within the Blue Cat's StereoScope Pack. A special introduction price is available for all users, and special offers are been sent to registered customers. Check your email! Hans Van Even from Musicworks has created a wonderful free skin set for Blue Cat's Liny EQ plugin. It is available for download for free, check it out! Many thanks to Hans for his artwork! Interested in creating skins for our plugins? Check our skins page and get started! Blue Cat's FreqAnalyst (free) and Blue Cat's FreqAnalyst Pro spectrum analysis plugins have been updated. They now include our latest features and improvements including undo/redo, presets exports etc. Check them out! A new version of Blue Cat's Dynamics plugin is now available for download: it brings miscellaneous performance and user interface enhancements. Customers can download the upgrade using the registration email they received. If you do not own this plugin yet, go download the free demo. Do not miss the special discount available for a limited time! A new free skin set for Blue Cat's Dynamics is available for download. Many thanks to Stephan Windus who has offered once again his work to the Community. If you want to create your own skins for your plugin, check our skins page. Do not hesitate to contact us for assistance. 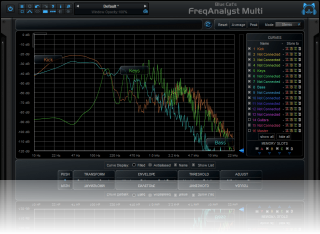 We are happy to announce the release of Blue Cat's FreqAnalyst Multi, our new multiple tracks spectrum analysis VST and DirectX plugin. It uses our unique data sharing technology to let you analyze and monitor the spectrum of several audio tracks on a single screen. Download the demo now and try the plugin on your mix! This new plugin is available as a separate product or within the Blue Cat's FreqAnalyst Pack. A special introduction price is available for all users, and special offers have been sent to registered customers. Check your email! Blue Cat's Parametr'EQ series DirectX and VST plugins have been updated: v3.2 Brings Undo/Redo support and presets export/import. Upgrade is free for registered users. 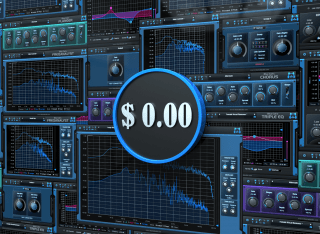 If you still do not own them, download the demo of Blue Cat's Parametr'EQ, Blue Cat's Stereo Parametr'EQ, and Blue Cat's Widening Parametr'EQ right now and purchase these plugins for a special price (15% discount)! The free SilverQ skins have been updated to use the new functionalities. 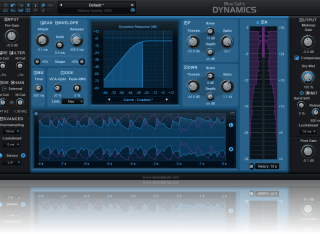 Blue Cat's Dynamics plugin has been updated to v2.0! This new version brings undo/redo support, new preset exchange features and more. Upgrade is free for registered users (check your email!) and a special discount has been setup for others. Download the demo and check this all-in-one Compressor/Limiter/Gate/Expander plugin! 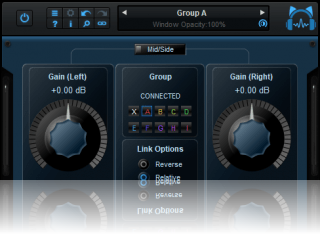 Check out the new Blue Cat's Gain Suite freeware plugins! This new version introduces the capability to link the plugins together, a brand new user interface, undo/redo support, new preset exchange features and a lot more. Go download these free plugins right now and achieve complex mixing tasks and automated volume adjustements with a single slider! This tutorial will show you how to use the new grouping features. Blue Cat's Skinning Language has been updated to version 1.3.3. Check the new documentation available in the Skins section! A new gem from Stephan Windus is available: check the new SilverQ skins for Blue Cat's Parametr'EQ DirectX and VST plugin. 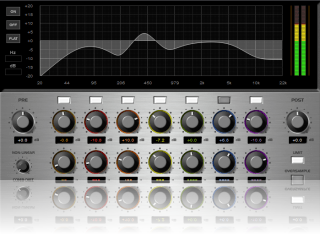 It's a must have for your favorite EQ, and you can freely download them here. 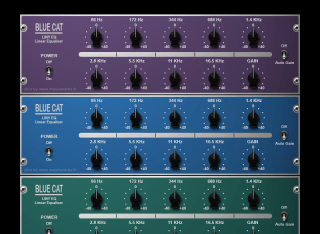 Note that this is the last week to get our new Blue Cat's Master Pack, Blue Cat's Parametr'EQ, Blue Cat's Stereo Parametr'EQ, and Blue Cat's Widening Parametr'EQ with 20% discount. Don't miss this special introduction offer! This is the last week for existing customers' special upgrade prices as well. 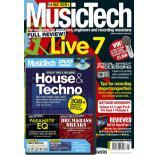 Electronic Musician (EM) has chosen Blue Cat's Free Pack as "download of the month". You can read more in EM's last issue on page 22. Do not forget to download this VST and DirectX plugins bundle for free on our website! 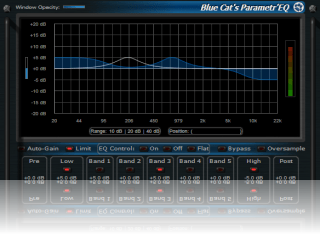 A new version of the Blue Cat's Parametr'EQ series is available: v3.1 fixes a few issues and improves the products. The upgrade is free for existing customers, and you can still get these plugins for a special introduction price. So download the demo of Blue Cat's Parametr'EQ, Blue Cat's Stereo Parametr'EQ, and Blue Cat's Widening Parametr'EQ right now if you do not already have them! Ladies and Gentlemen, please welcome our new bundle! 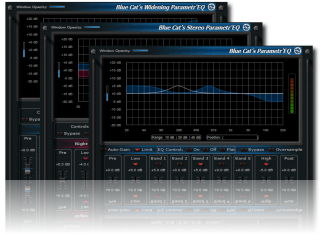 Blue Cat's Master Pack contains all you need for mixing or mastering. It offers a very special price for our favorite five mastering DirectX and VST plugins, and 20% extra discount for its release. The new Blue Cat's Parametr'EQ series are now available! 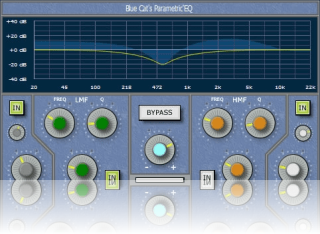 Download the demo of Blue Cat's Parametr'EQ, Blue Cat's Stereo Parametr'EQ, and Blue Cat's Widening Parametr'EQ and order your copy right now! They are available as separate products or within the Blue Cat's Parametr'EQ Pack bundle. Do not miss the special introduction discount (-20%), it won't last forever! Blue Cat's Parametr'EQ directX and VST plugin will be soon updated to v3.0, with brand new user interface and audio engine. We will be accepting a few more beta testers for the last tests before release. If you are interested please contact us! More details about this new release and new UI screenshots can be found in this forum thread. Yet another skin by Stephan Windus: this one has silver style and can be downloaded for free in the Widening Parametr'EQ Skins section. Stephan Windus strikes again! Check this new copper style skin that he has created for Blue Cat's Widening Parametr'EQ. You can download it for free in the Widening Parametr'EQ Skins section. Interested in skinning? Create your own skins by yourself: just check our Skins pages and learn how to customize your favorite plugins. Learn how to compare audio spectrum accross projects and applications thanks to the FreqAnalyst Pro directX and VST plugin: it's all explained in this new tutorial! 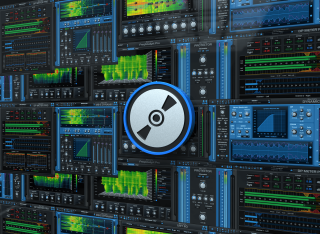 Blue Cat's FreqAnalyst Pro directX and VST plugin has just been updated to v1.1, bringing performance improvements and several minor enhancements. Download the demo right now, and check our limited time offer (-10%) for this new version! it is also a great opportunity to download and try the new skins available for this plugin. As usual upgrade is free for existing users, and Blue Cat Audio customers owning other products can purchase this plugin with 20% off (check your email!). 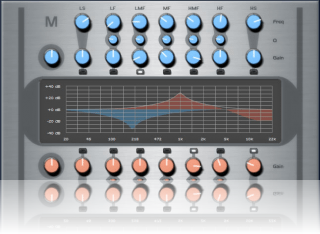 Check the new "Oxford" style skins for Blue Cat's Parametr'EQ DirectX and VST plugin. You can freely download them here. Many thanks to Stephan Windus for this contribution. Learn how to customize the FreqAnalyst Pro directX and VST plugin user interface with this new Custom Colors tutorial! 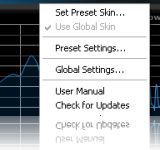 If you don't want to do the skinning by yourself, just download the resulting FreqAnalyst Pro Skins for free. We are happy to announce the compatibility of our DirectX and VST plugins with Microsoft Windows Vista. The latest versions of our plugins are now compatible with Windows Vista's User Account Control, and with the new transparency feature, the plugins are completely integrated with the Windows Vista user experience, as shown in this screenshot. If you are not a Blue Cat Audio user yet, download a plugin and get started! Blue Cat's Dynamics directX and VST plugin has just been updated to v1.4, with a new user interface design and many performance and ergonomics improvements. Download the demo right now, and don't miss our limited time offer (-15%) for this unique dynamics processing plugin! Upgrade is free for existing users, and Blue Cat Audio customers owning other products can purchase this plugin with 20% off (check your email!). Blue Cat's Skinning Language 1.3 documentation is now available. Among the new features: new widgets, new model and link elements introducing surfaces and custom curves, new template and variable language elements for skin code reuse... Check this new documentation in the Skins section! You will now be able to create your own skins for the FreqAnalyst Pro plugin. A new tutorial has been added to the Tutorials section to help you discover the features of the Blue Cat Audio Products that will make your every day life easier: read "Getting Started (UI)" and become an expert of our user interfaces. Blue Cat's FreqAnalyst Pro DirectX and VST plugin has been reviewed by gearwire.com's team in a video demo: see the video here. It has been also added to the FreqAnalyst Pro Tutorials section. For musicians wondering what a spectrum analyzer is and how it can be used, it's really worth watching! 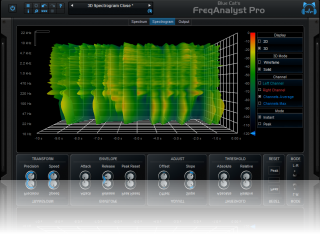 We are happy to announce the release of Blue Cat's FreqAnalyst Pro, an extended version of the freeware FreqAnalyst DirectX and VST plugin: new average mode, spectrogram display, store curves into memory, use the mouse pointer for precise measurements... A lot of new features! It also has a MIDI CC and automation output to control other effects with frequency information extracted from the signal. Download the demo right now and benefit from the special introduction discount (-20%)! Registered Blue Cat Audio users can purchase this plugin with -30% off (check your email!). We are happy to sponsor the next 'Socialism' Old Skool Jungle and D&B music night organized by DJ Kombinate in London (UK). Do not miss this great party at the Inigo Bar (London, SW8) on Tuesday 27th March 8pm. More information can be found on their My Space site. We are happy to announce a new product, Blue Cat's FreqAnalyst Pro: still under development, this extended version of the freeware FreqAnalyst DirectX and VST plugin brings new signal monitoring capabilities and audio frequency information to MIDI CC and automation conversion to control your favorite effects. For more details, check this forum thread. Soon on www.bluecataudio.com! Note that we are updating the website with new interactive content, thanks to Christophe Dalys's talent. We are happy to announce that Blue Cat's FreqAnalyst was granted the "100% FREE Award" by Softpedia. 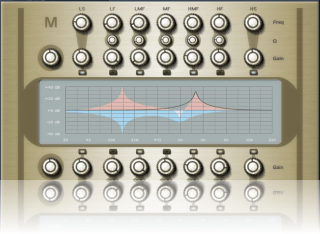 If you do not already have this DirectX and VST plug-in, download it here for free! More information about this award can be found on www.softpedia.com. Blue Cat's FreqAnalyst is out! With its smooth interpolation algorithms and special skinnning features, this freeware real time spectrum analyzer is unique: what you cannot hear, Blue Cat's FreqAnalyst shows it to you! 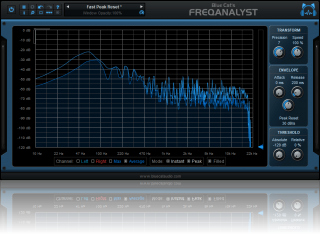 It's available here for download (as DirectX or VST plugin): FreqAnalyst. Blue Cat's Skinning Language has been updated to version 1.2.5. Among the new features: new widgets, parameters exposition, zoom... Check the new documentation available in the Skins section! This new version brings functionalities required by Blue Cat's FreqAnalyst, a new product to be released as freeware in a few days as a VST or DirectX plugin. More information and screenshots are revealed in the user manual. Santa brought you a new DAW? Got some money for Christmas? Then it's time to check our special 2007 Discounts and get new VST and DirectX plugins! New year, new product! Blue Cat's Remote Control is a virtual MIDI control and monitoring surface: control and monitor any parameter of your DAW within a single customizable user interface, as shown in the Remote Control Tutorials. This product is available as a DirectX or VST plugin. Don't miss the special introduction price and get it right now! Looking for older news? Please consult the 2006 News page.